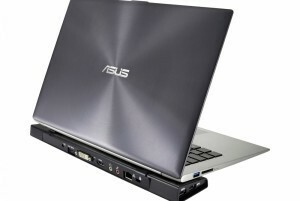 ASUS USB3.0 HZ-3A Docking Station : Be connected! 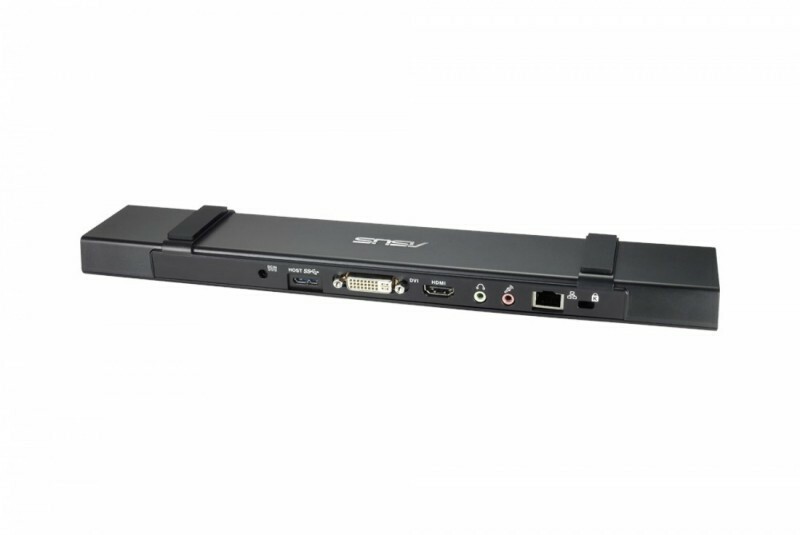 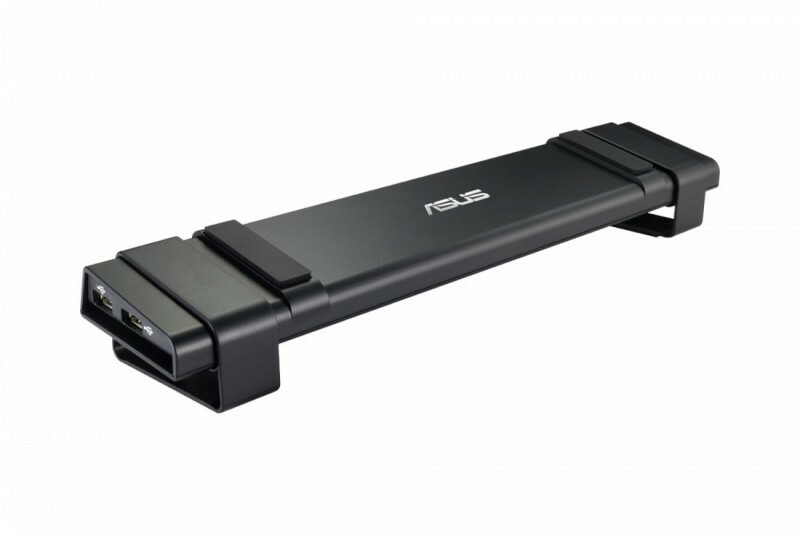 An instantaneous improvement for your laptop or PC, ASUS USB 3.0 HZ-3 Docking Station let you connect up to 10 accessories to your Ultrabook. It is including the last drivers and Windows 8.1 operating system, also its previous versions and a full backward compatibility with USB 2.0. 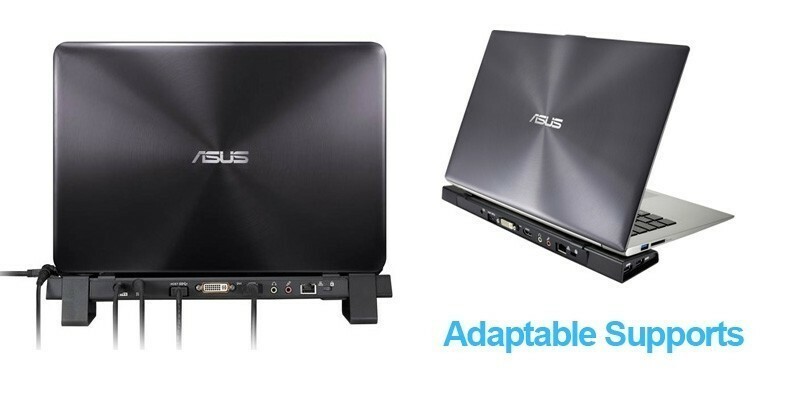 Select the jack connector appropriate for your Notebook and charge it directly on the docking station. 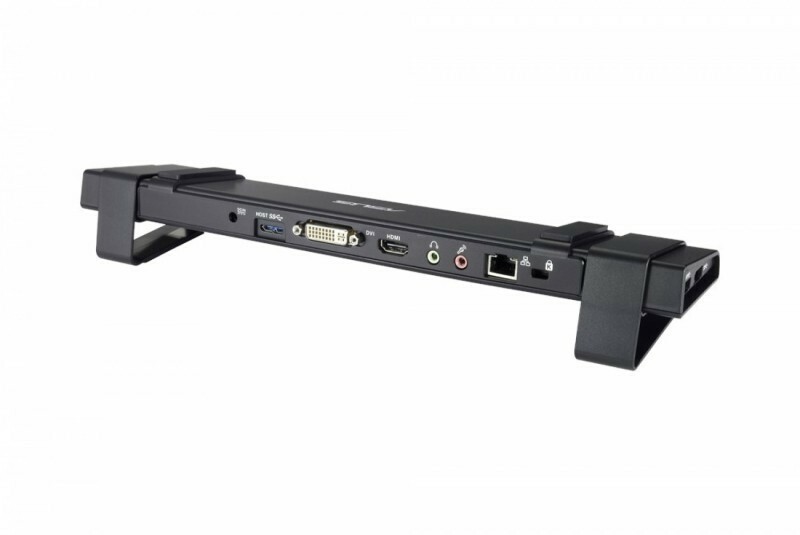 This docking station is having a HDMI port and a DVI-I adaptator for a mirror display or extended of your Windows desktop on two separated external monitors, with a resolution up to 2048 x 1152. The docking station also includes a Gigabit Ethernet port (10/100/1000 Mb/s), a combo input/output and 4x USB 3.0 drivers. 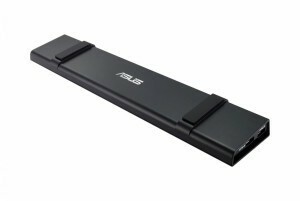 USB 3.0 driver to connect a device to a USB 3.0. 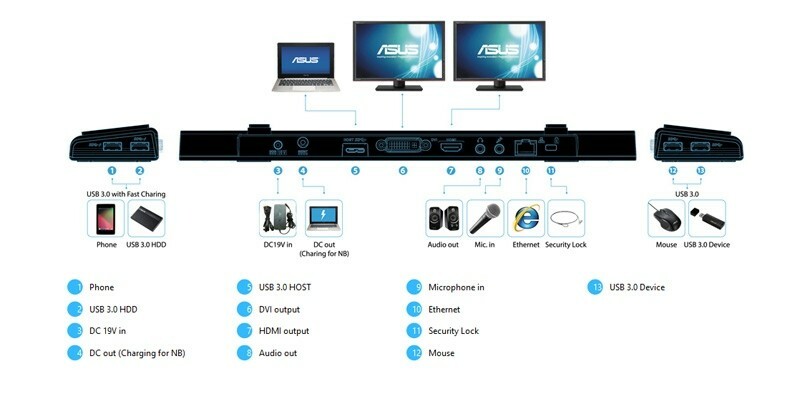 USB 3.0 driver for a computer connection.